UWatec :: Does anybody really know what time it is? 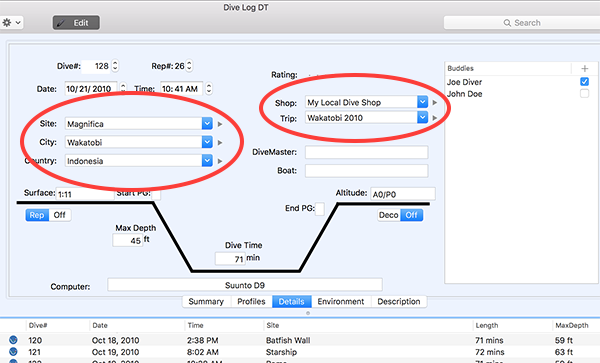 If you’re downloading your “later generation” UWatec dive computer, and you’re getting the wrong start time for your dive, you're going to want to read and understand these details. If you’re just interested in more detailed information about using your dive computer, this might be interesting. Your UWatec dive computer keeps track of time using “Coordinated Universal Time” or UTC. It is the primary standard by which the world regulates clocks and time. It is similar to, but not exactly the same as, “Greenwich Mean Time” (GMT). GMT is a time zone whereas UTC is a time standard. No country uses UTC as a local time, but some use GMT as their local time zone. The “UTC time” is the same everywhere in the world. It is the same everywhere in the world at the same time. Once you have agreed what UTC is, then the local time where you are is measured as an “offset” from UTC. The offset can be either a positive number, or a negative number. On the day of this blog post, Belgium has a UTC Offset of +1:00. The Pacific coast of the USA has a UTC offset of -8:00. This is very similar to saying that your time zone is +1 from GMT or -8 from GMT, it just formalizes and standardizes the language. 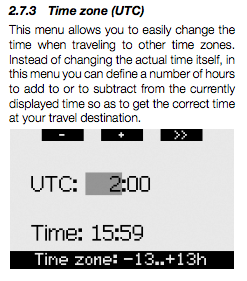 Your Mac also uses this concept to determine what time it is. When you travel with your Mac to a new place, you don’t go in and change the time, you just change the time *zone* to match and then your Mac knows what the local time is. When you are setting the time on your UWatec, your instructions show you how to set both the time of day and the UTC offset. The idea is that when you travel to another time zone to dive, you simply change the UTC offset to match where you are now diving. This UTC offset is saved along with all the other information specific to a given dive so that it knows what time it was when you did the dive, even if you change time zones again after the dive. 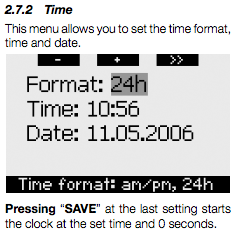 (Otherwise the start time of an “old” dive would change when you changed the current time zone or UTC offset setting). Now that you have all that terminology, follow along here and see how the “time of day” on your dive computer can look right, but actually be wrong. I’ll use the Pacific coast of the USA as an example because it has a large difference from UTC. Let’s say you don’t bother setting the UTC offset on the dive computer (so it’s set to 0), and you just set the time of day to be “right”. What you’ve just done is (re)set the dive computers version of the UTC value to be 8 hours wrong. 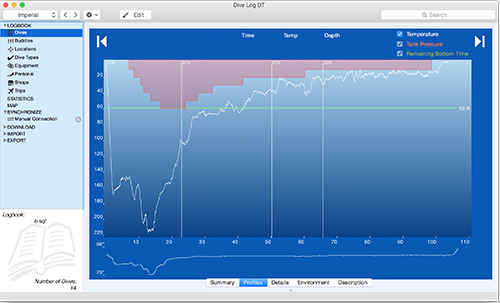 Even though the dive computers time of day always matches what is shown on the wall clocks around you, when you download it, the logbook software will read a dive and see, “oh look, the UTC offset for that dive was zero”. I’ll just “add zero” to the current UTC value given to me by the *Mac* and that will give me the start time of the dive. Using actual numbers, let’s say your dive computer says 09:00 when you start a dive. In UTC time, that’s actually 17:00. 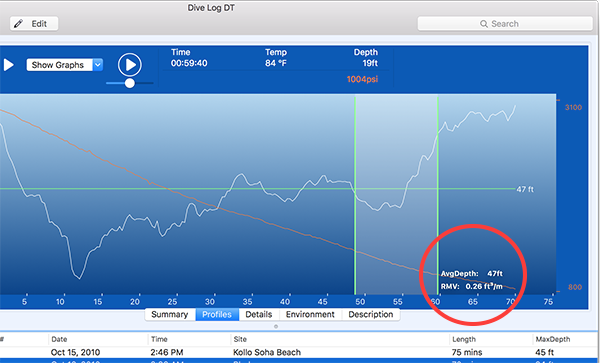 When downloaded, the start time of that dive will be calculated as “+0” from UTC or 17:00. Not really what you wanted. When you look up the start time of the dive on the UWatec though, it will show what you really want to see, which is 9:00. Looks right, technically wrong. What the UWatec instructions don’t really tell you is that you should find out what your UTC offset is where you are, and set that FIRST. And then go in and adjust the time of day if you need to. In the example above, the diver should first set the UTC offset to -8:00 and then set the time of day to be correct, if necessary. This will set the correct UTC value for the UWatec. Then when the software downloads the dive information, it says “oh look, the UTC Offset of this dive is -8, therefore the start time is 17:00 minus 8 hours or 09:00”. When you buy a brand new “out of the box” UWatec Galileo, it seems likely that the UTC value is already set and already set correctly. Having never bought a new one myself, I can’t say for sure. 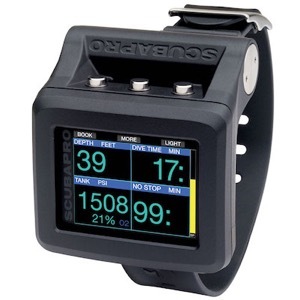 As an UWatec user, you’ll notice that there is no Daylight Savings setting or option on the dive computer. This is probably a good thing. The Daylight Savings rules world wide are varied and complicated and close to impossible to keep track of. If you’re in a place that observes daylight savings time, you’ll want to simply adjust your UTC offset. If you’re in Belgium in the summer time, you’re now “UTC +2:00”. If you’re on the Pacific coast of the USA, you’re now “UTC -7:00”. 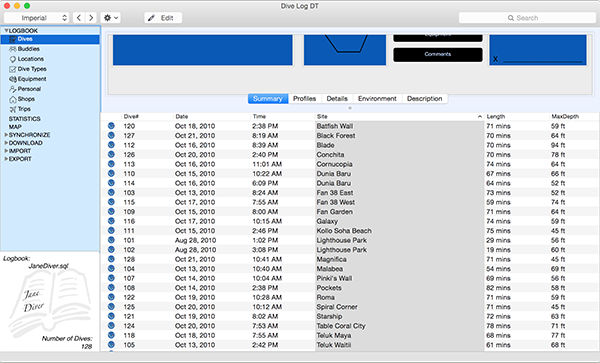 Your Mac has all the daylight savings rules built into it so you don’t have to tell it. But your dive computer has better things to do so you must tell it manually. Daylight savings is just a 1 hour change to the UTC offset. This is actually a nice feature of these dive computers. But as it is with many things, it needs to be used properly or it may cause some headaches. 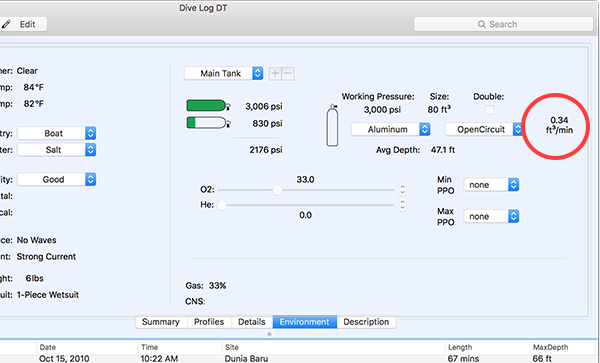 If you have a bunch of dives on your UWatec that have the “wrong” time, Dive Log Manager/DiveLogDT has a special “switch” that will instead use your Mac’s time zone setting instead of the UTC offset when calculating the start time of the dive. Contact us on our support email address and we’ll give you directions. Happy Diving and remember - "We've all got time enough to dive"! One of those "well known" Mac-ism's that is not really all that well known is how to re-sort a table. 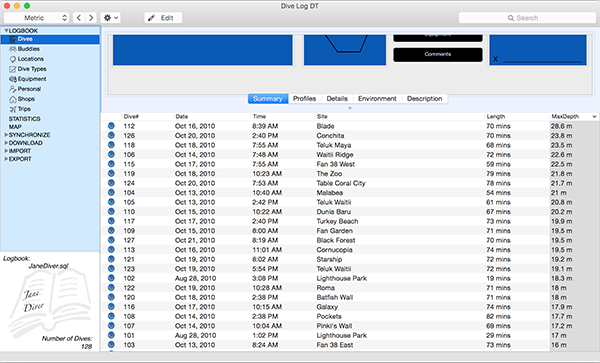 As a Mac user, you will see a table of information in many different applications and the Dive List in Dive Log Manager and DiveLogDT is a classic example. It's a common occurrence to want to view this same table sorted differently. Each user will have a preference to how they want to view the list of information at any given point in time. What you may not realize is that you can click on the column header of a table and have the list sorted by that column's values. In the screenshot above, here is the Dive List and the red arrow points to the 6 different column headers - Dive#, Date, Time, Site, Length, MaxDepth. Here, the Dives List has been sorted by Dive#. And the little partial triangle on the right hand side of the column is pointing up, which means that the list is sorted in ascending order. Gosh, how traditional! But if you like to see your most recent dives at the top of the list, then click the column header again, and now they will be listed in descending order and the triangle will point down. But look what you can see if you sort by DiveSite - How many dives did I do at Dunia Baru anyway? Or sorting by Length - how many dives have I done that were over 1 hour? And how many times did I dive over 25 meters? Or between 60 and 70 feet? So sorting by different methods can give me some Statistics about my scuba diving history! 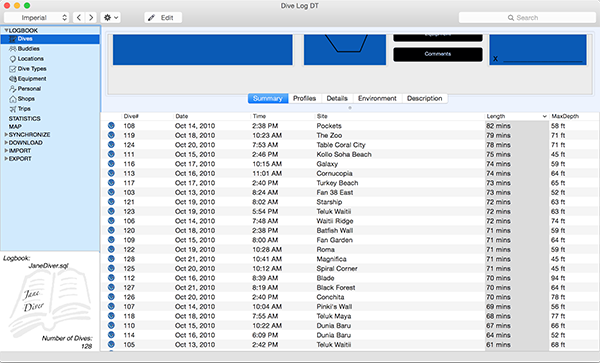 When you exit the application, it will remember how you last sorted your Dive List and put it back that way when Dive Log Manager or DiveLogDT is re-launched later. 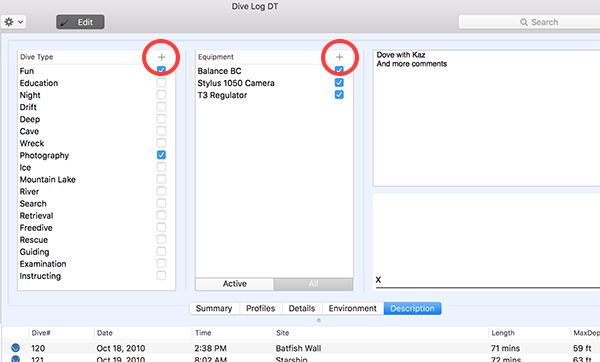 OR, if you sort and then click on any of the Download or Import or Export panels, the Dive List will still be in the same order you left it on the Dives panel - it's the same Dive List after all. If you're a tradiionalist, you might want to go back to sorting by Dive# before moving on. But now that you're an advanced Mac user, you'll be all set. New Blog area on our Website! Welcome to our new website and Blog area! We have switched website technologies and will be publishing our Blog entries here in the future so stay tuned. But, so our old entries don't get lost, here is a link to the original Blog and our original posts.